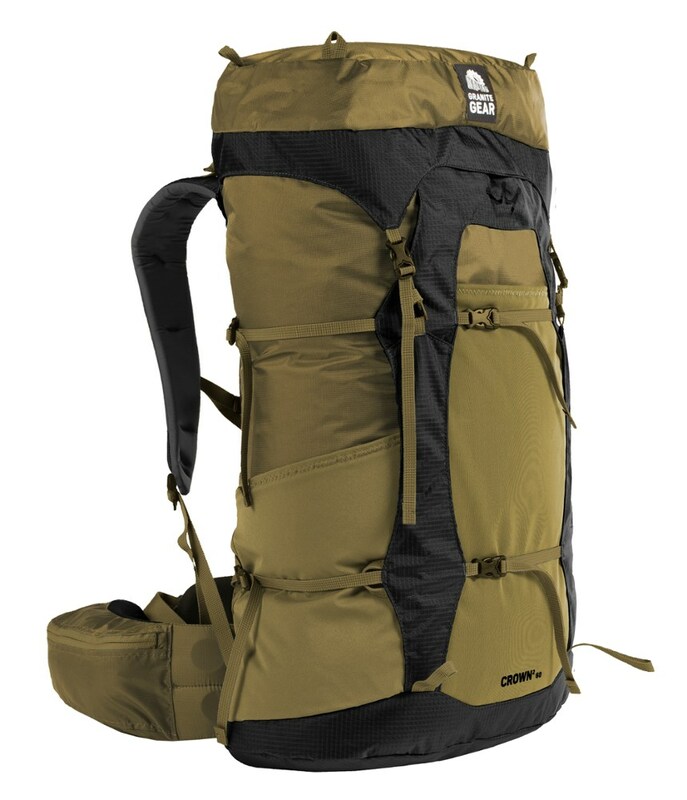 Part of Mountain Hardwear’s Objective Series (for climbing, mountaineering, and now snow sports), the medium-volume Windpack is a multi-day ski touring and trekking pack. 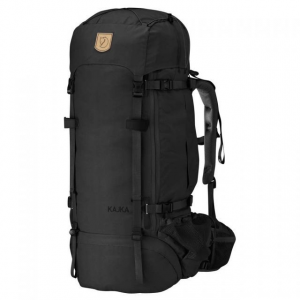 It features quick-release, side compression straps for ski carries and a removable front pocket/daypack. 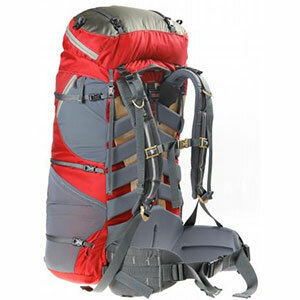 The suspension system is made up of a HDPE frame sheet with a full perimeter aluminum rod, which can be shaped to the user’s back, a compression-molded foam back panel, a fixed padded hip belt, and padded shoulder straps. 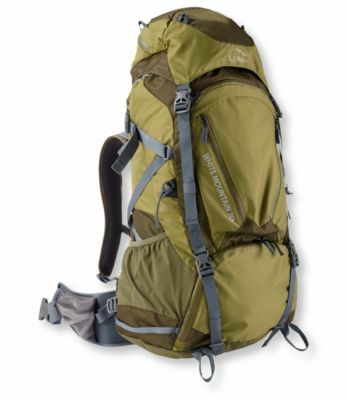 A second aluminum perimeter rod on the front compression pocket maintains the pack’s shape and offers load control. 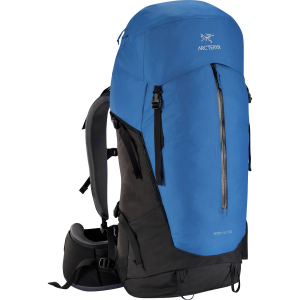 The Windpack also features a bottle opener/tool toggle for attaching gear, a detachable top pocket with three storage compartments, an externally accessible hydration pocket, biner loops, and a small pocket on the hip belt. Weight	 4 lbs. 15 oz. The Windpack has been discontinued. 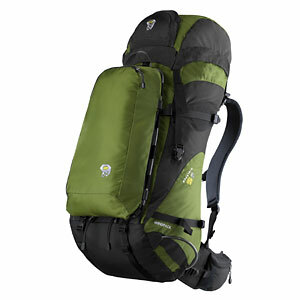 The Mountain Hardwear Windpack is not available from the stores we monitor. It was last seen January 15, 2013	at Mountain Gear.